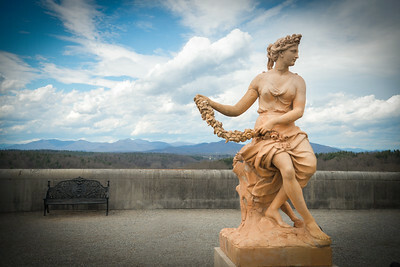 A statue, not sure who or what it represents, in the grounds of the Biltmore estate in Asheville, NC. Actually quite enjoyed this visit, easy to imagine what life was like in this self sufficient estate at the turn of the 19th / 20th century. 2016. 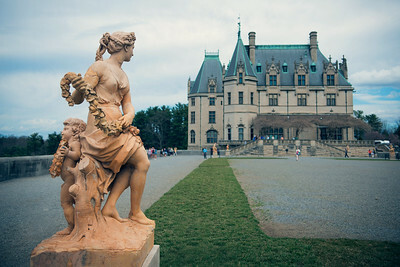 An alternative view of the statue infront of the main building in the Biltmore Estate. There's lots of such stately homes like this in the U.K., but that are really celebrated in the U.S. Asheville, North Carolina, 2016.